This is a fun worksheet for students to practice place value and recognizing colors and numbers on a hundreds chart. Use the key to color in the boxes and reveal a hidden picture! Two versions are included so you can differentiate as needed. The first has the numbers filled in and the second is a blank chart so students write #s 1-100 before creating the mystery picture. 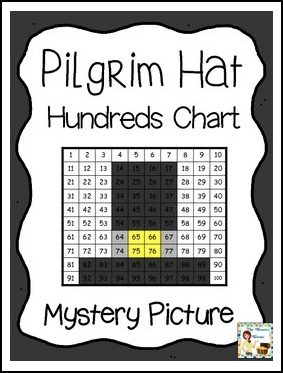 Or grab the BUNDLE of pictures here---> Hundreds Chart Fun - Mystery Pictures - Mega Pack to use all year long! **Follow me to be notified of new products, sales, and freebies! Just click the green star by my store name near the top of the page!